Healthcare personnel at the Mt Gay Hospital are being commended for their quick thinking and reaction that controlled the spread of chickenpox at the facility. Workers having discovered the threat took immediate action, utilizing infection control measures and protocols that brought the threat under control and prevented a major outbreak. Health Services Administrator in-charge, Kester Cyrus, told the GIS, that from all indications the virus was imported into the facility. 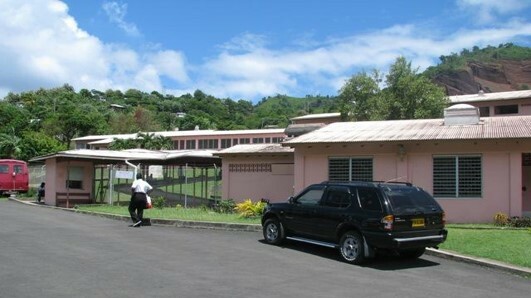 Cyrus revealed that the Mt Gay Hospital has not recorded an outbreak of chickenpox in more than a decade, and credits his staff for their dedication to service and clients. He was also grateful to the infection control, epidemiology and surveillance units, for their assistance and support during the outbreak. GIS learnt that Cyrus and the authorities took the necessary measures to isolate and treat patients in order to prevent further spread of the disease as soon as the discovery was made. The diseases had only managed to spread among 5 persons, who upon showing symptoms, were treated. Those persons are said to be recovering. According to Mr Cyrus, the vaccination status of the staff was also brought up to date.